Xperia XZ2 Premium vs Galaxy Note 9 poll: Sony fans strike hard! The Xperia XZ2 Premium certainly took its time to hit the market. In fact, it's not on store shelves just yet — it will finally be on the 30th of July. And that's 3 months after its official announcement, back in April. It's Sony's most premium phone — hey, it's in the name — and it will cost you a premium penny — $999 at launch. It's odd timing, and we are kind of wondering whether Sony is shooting itself in the foot here. The Xperia XZ3 is about to be unveiled in a little more than a month. And the Samsung Galaxy Note 9 — a major, major player in the phablet scene — will be revealed in a couple of weeks. Well, well... Sony claps back! This poll was done on this website, like their other polls... Are you just slow, or..? I also miss this one.. Basically is's just Samsung users vs Samsung haters polls. well, for high end only sadly. in mid end xiaomi eats their cake in Asia much too easy. and then when you think of resale value, no one should invest in Samsung, invest in Apple. Sony fans are the most rabid and fanatical around. They will blindly support the brand right into the grave and belligerently attack anyone who suggests that their phones aren’t the greatest. Ciro got new account :)) LMAO!!! The prices for both phones are ridiculously high. I used to like Sony allot but now the premium models just cost too much. I had a Note 8 with lots of features but the UI never ran fast and smoothly. So I bought a Razer phone and it is smooth, great battery life and awesome speakers plus the 120 Hz screen refresh makes the UI really nice..
Why does it have to be a fanboy one way or another? Why can’t the Sony be better on its own merits. Some of you teenagers and millennials are pathetic. And the note 9 will sell more.lol I'm enjoying my note 8. My biggest gripe with Samsung is how much they mess with stock Android and how long they take to do that before they get the update out. I also think they have too big of a following with phones that are just run of the mill flagship phones. They almost never have any of the truly useful features first. Don't get me wrong they are decent phones. They just always seem dated. But that may be due to the large amount of blind following they have. They feel like they are just the mirror of Apple. Just another big splashy name with little ingenuity. That is why I sold my Note 8 for cheap and bought a Razer phone for several hundred dollars less than I had paid for the Note 8. 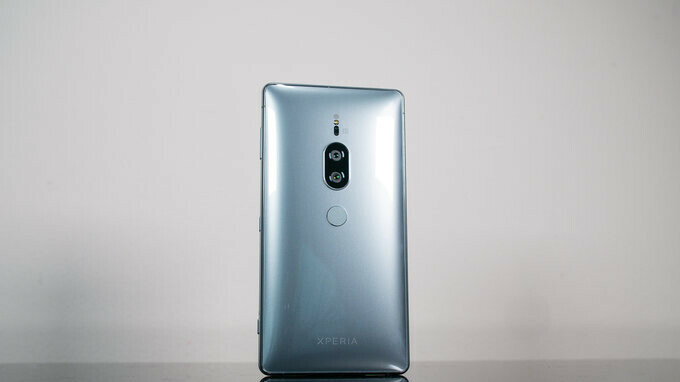 Now some people will try to justify why this is the final result... Lol Apart from that, this XZ2P looks promising! Lol, not that i love the xz2 p but i would take it o er the s9. Something tells me Apple fanboys inflated ther results. Nobody can convince me that's true. Roland Quandt says Note 9 will be €1050 ( 128GB). XZ2P is no morqe than $€900. 144Hz? Where did you get that from? An employee. It is hidden inside devs mode just like the 120Hz on previous flagships. Even X Performance is 120Hz. Actually XA2 too.